Edgar Johnson wrote that “A satirist is never certain whether he/she will be acclaimed or punished.” Today 10 extraordinary and acclaimed satirists were punished by Islamic extremists who killed them for their alleged offenses against Mohammed. This morning I looked at my iPhone Twitter feed and noticed that there had been an attack on the offices of the French satire paper Charlie Hebdo. When I got to work and logged on to my computer I saw the awful news that a dozen people were dead, many more wounded. As I watched the video reports of the attack on the BBC News live stream I was horrified, but not surprised. I just wondered when, where and to whom this would happen. While the attackers appear to be radicalized Moslems, claiming links to Al Qaeda, and with the Islamic State claiming credit for the attack, the fact is that free speech is under assault around the world with journalists, writers and even bloggers being threatened and sometimes like today killed in the most brutal manner. Sometimes the threats come from Moslem and other religious extremists, and the fact is that in addition to Moslems radical Christians, Hindus and Jews have have threatened, assaulted or killed those they oppose. Other radical non-religious entities do the same. Likewise many governments use open and secretive means to silence dissenting writers. The fact is that speaking the truth to power, making comments that some find offensive, or the timeless art of political and religious satire is dangerous. I have been threatened a number of times on this site, mostly by White Supremacists and Neo-Nazi types, but occasionally a less than gruntled Christians or Moslems. I’ve gotten used to it, though on one occasion in 2010 I had to report one person who made very specific threats against me and my family to the FBI. 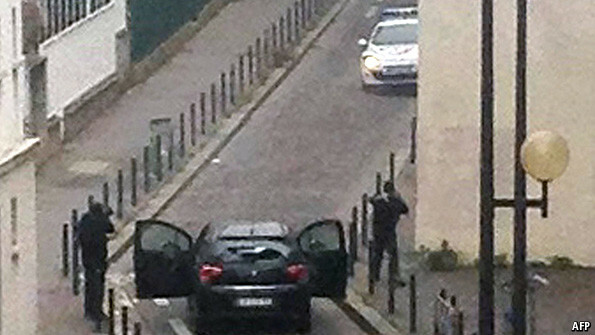 However, the attack on the people who made up the staff of Charlie Hebdo was very troubling. 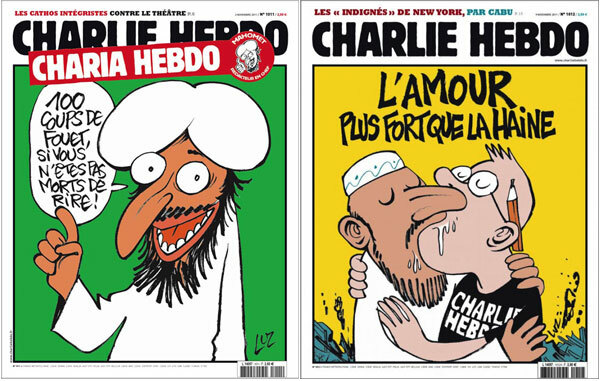 While the paper made satire of Islamic extremists, it also took on the Catholic Church, Orthodox Jews, as well as made mincemeat of the the French political landscape and political leaders, right wing and left wing, which means that those that they became the enemies of a lot of powerful people who do not like to be criticized. The fact is that satire is meant to shake things up and on occasion offend those in power. It does so through wit and humor, sometimes even crude and offensive humor. That is what makes it so effective. Some of the greatest American social and political commentators included Mark Twain and Will Rogers, who used satire many times and quite often offended many people, especially political, religious and business leaders or organizations. That kind of satire as Harry Shearer, who does the voices for a number of characters on The Simpsons and maintains his own satire program noted that because satirists have the job of needling those in power that they often have no one to defend them. Those killed included some of the most talented and gifted cartoon satirists in the world, some of whom had been living under death threats for years. 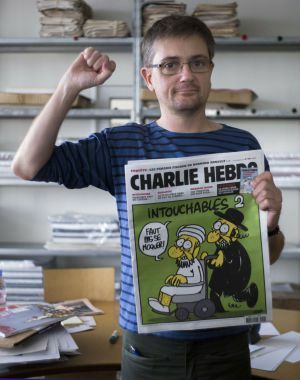 The dead included Stéphane Charbonnier, the editor and best known cartoonist, nine other staff including other noted cartoonists and writers and two policemen. Today, anyone who values liberty, and freedom of speech, expression and association knows the reality that if you offend the wrong people that you could be killed. It really doesn’t matter who or what you criticize, the fact is that there are people who for whatever reason, be it an offense against their God, their ideology or political beliefs, that some people cannot take criticism. I did find it interesting that Bill Donohue of the Catholic League blamed Charbonnier and his staff for insulting the prophet. I found that interesting coming from a man who simply debases and demeans his opponents while condemning them to hell, and who has made plenty of inflammatory statements about Islam and Moslems. Donohue, the champion of intolerance condemned not the intolerance of the killers, but the “intolerance” of those who were murdered. I am sure that in the next few days there will be many right wing Christian preachers and pundits who say similar things. But also one has to look at this attack in a strategic context. If the attackers are members of Al Qaeda or ISIL they chose their victims carefully in order to provoke a response against innocent Moslems that will provoke even more violence. Such people are evil. 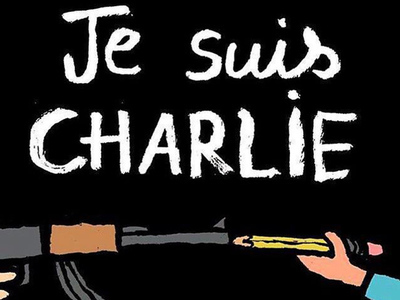 So in the tradition of defending the freedom of speech, the press and association, #Je Suis Charlie.